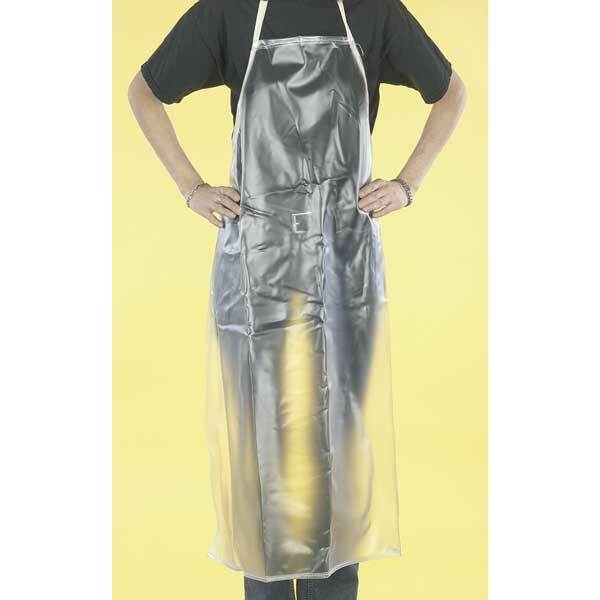 Proguard Bathing Apron Heavy duty industrial plastic apron covers from neck to ankles, keeping you dry under the wettest conditions. Constructed of tough, durable, but flexible material, this apron has unusual resistance to scratching or tearing from pet�s nails. Has high tensile strength and greater resistance to abrasion than rubber. Comfortably cut and lightweight, it can be worn with ease for hours. Perfect for use in kennels, grooming shops and animal hospitals.